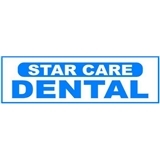 Star Care Dental (Glen Mills) - Book Appointment Online! I was extremely pleased with the facility as well as the staff. Dr. Nair is very knowledgeable and courteous. She was very thorough when explaining how the dental visit would be conducted. The entire staff are true professionals and have wonderful personalities. It was a great experience at the dentist office and I would highly recommend Starcare Dental to anyone looking for a dentist.